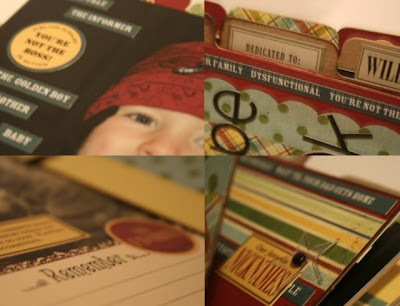 I thought I'd give you a little peak at what's going on at the retreat! Check out the website for information on the retreat, it's coming so fast! We'd love to have you come for the whole weekend, or just for the day. A class pass is available for Saturday so you can take in the classes and the vendors! 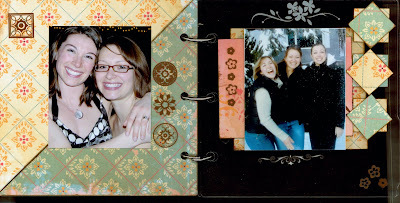 A peak at the clear, acrylic friendship album class taught by myself, featuring Cosmo Cricket and Bo Bunny. 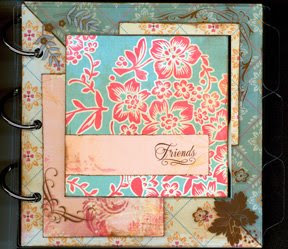 This is a great Melissa Frances class taught by Canadian Scrapbooker's co-founder, Jackie Ludlage. They are all going to be so much fun. Wait until you see these projects up close!